TOKARA’s forward thinking vision and commitment to excellence has been richly rewarded with no less than nine wines crossing the 90 point threshold and three cracking the 95+ elite rating in Tim Atkin’s highly regarded 2018 South African Special Report. 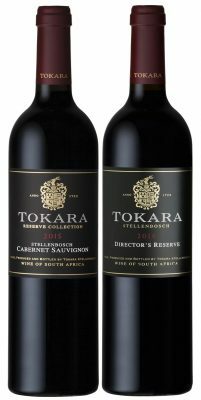 Top scorer on 97/100 is TOKARA’s super-premium Cabernet Sauvignon driven pinnacle, Telos 2015, followed by the flagship TOKARA Director’s Reserve Red 2014 and Tokara Reserve Collection Cabernet Sauvignon 2015, both on 96 points. All three these wines are included in what Atkin considers his “wines of the year” – a collection he believes that would compare with the best of any other wine-producing country. Cabernet Sauvignon has been the cornerstone of TOKARA’s red wines from day one after owners GT and Anne-Marie Ferreira acquired the farm, and their vineyards on the Simonsberg consistently produce consummate award winning wines, considered true expressions of the TOKARA terroir. Atkin awarded TOKARA’s ultra-elegant MCC Blanc de Blancs 2011 94 points followed by the Reserve Collection Chardonnay 2016 and the Reserve Collection Syrah 2014, both on 93. The Reserve Collection Sauvignon Blanc 2017 was rated 92 points while the TOKARA Shiraz 2016 attained 90. 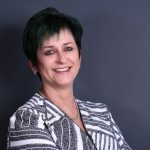 “This acknowledgement by a highly respected UK Master of Wine close on the heels of TOKARA’s ranking amongst the World’s Top 50 Most Admired Wine Brands for 2018 by UK-based Drinks International, speaks of our prowess creating remarkable, terroir-driven wines that express a true sense of place,” says Karl Lambour, general manager. Atkin, an accomplished wine commentator with extensive experience when it comes to South Africa, tasted almost 1 980 local wines for his 2018 South African Special Report, now in its seventh year and his largest yet. For more information on TOKARA wines, visit www.tokara.com.